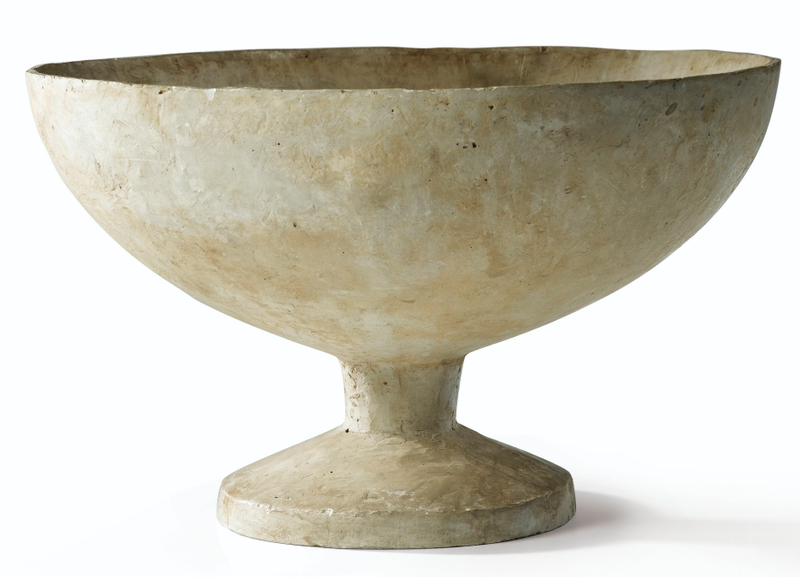 On 24th May, Sotheby's France will hold their dedicated design auction which features ceramics by Georges Jouve, Alberto and Diego Giacometti's creations, works by leading architects Pierre Chareau, Jean Prouvé and Claude Parent as well as many other Art Déco pieces, bronze animal sculptures and contemporary works. Georges Jouve (1910-1964) is one of the most important ceramic artists of the 20th century. It was fate that led him to discover his passion for working with clay, at the break of World War II, he took refuge in Drôme. 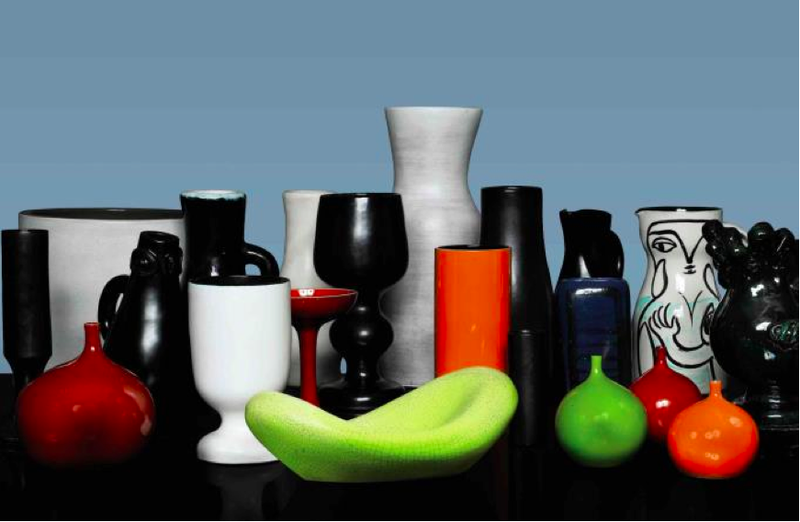 After the end of the war, Georges Jouve became a key figure in the post-war ceramics movement which played with the free expression of colour. He experimented with different styles and cultures, including the likes of abstract and Japanese. For the first time at auction, forty works of Georges Jouve, from various private collections, will be featured in Sotheby's sale on 24th May. Alberto, along with his brother Diego, searched tirelessly for the true representation of the human figure. Today, Alberto Giacometti is regarded by critics as one of the most important post-war artists. This white plaster cut, appearing simple in form, is a good example of how Giacometti's works were ahead of their time. The work was presented by the artist to Roberto Matta and his wife on their wedding day in 1954. Since then, it has remained in the Matta collection. 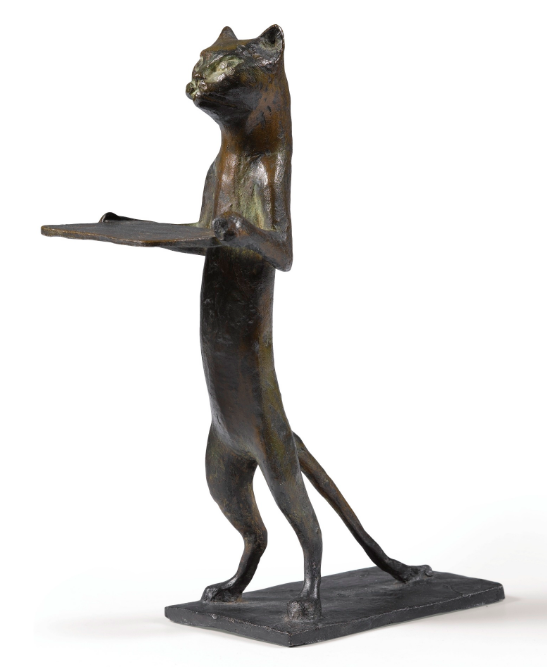 Diego Giacometti's mischievous feline master patinated bronze and several models of tables from 1960's to 1980's will be featured in the auction. 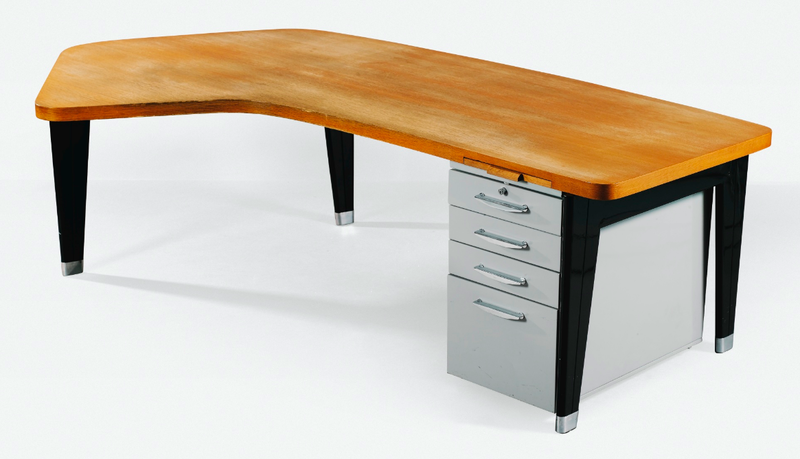 Beautiful desks designed by the three kings of design Pierre Chareau, Jean Prouvé and Claude Parent will also be going under the gavel. This iconic piece by designer Jean Prouvé, made of oak and painted sheet steel, is modern and functional, a work of true design mastery. The piece has been consigned to Sotheby's from a private collection, and will be sure to attract design enthusiasts from around the globe. The auction will also feature a wide section of bronze animals, a rare Damovale desk of by Emile-Jacques Ruhlmann and pieces by Jean-Michel Frank, Line Vautrin and Jean Royere. 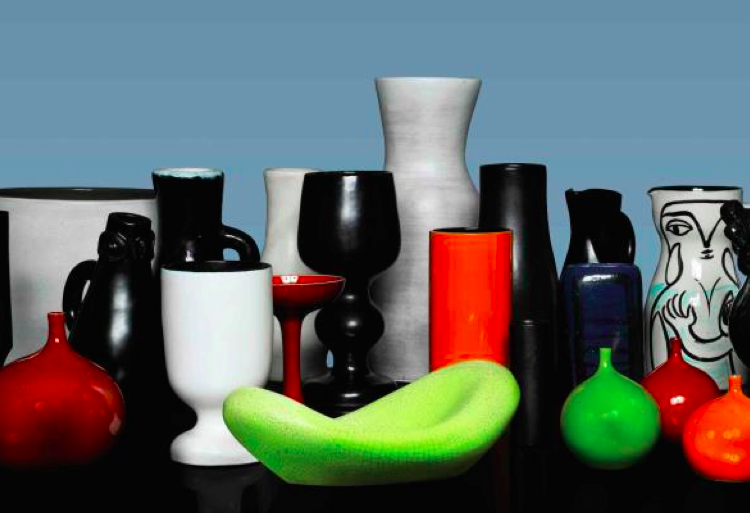 The sale will conclude with a selection of more contemporary works by French and European designers including Ettore Sottsass, André Dubreuil, Martin Székély and Franz West, as well as an enviable selection of Italian, Scandinavian and American pieces of design.